Launching a new luxury brand, Hyundai chose to branch into the high-end vehicle market with the Genesis nameplate. 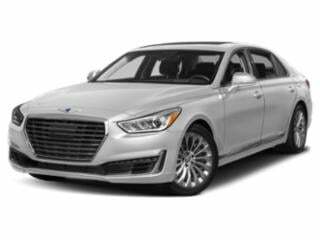 Based on the vehicle previously known as the Hyundai Genesis sedan, the G80 became the luxury make's premiere model. Debuting as a 2017 model, the Genesis G80 four-door sedan came handsomely equipped with features pleasing premium tastes for comfort, performance and safety. Some of the highlights included standard on the G80 sedan comprises of Automatic Emergency Braking, Smart Cruise Control, power-folding heated side mirrors and navigation system. Double overhead cam engines incorporating gasoline direct injection, 311-horsepower 3.8-liter Lambda V-6 and a 420-horsepower 5.0-liter Tau V-8 powerplant are both available with rear-wheel drive or with an HTRAC all-wheel drive. For the 2018 model year, a twin-turbocharged 3.3-liter V-6 generating 365 horsepower joins the Genesis G80 lineup. Connected to the 3.3T Sport package, Continuous Damping Control suspension as well as special interior and exterior touches accompany the new engine. The long awaited and officially branded G80, Genesis’ first standalone luxury sedan, has finally arrived. 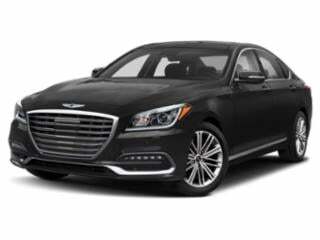 The seductively styled G90 is part of the all-new lineup of luxury vehicles being rolled out under the Genesis nameplate.